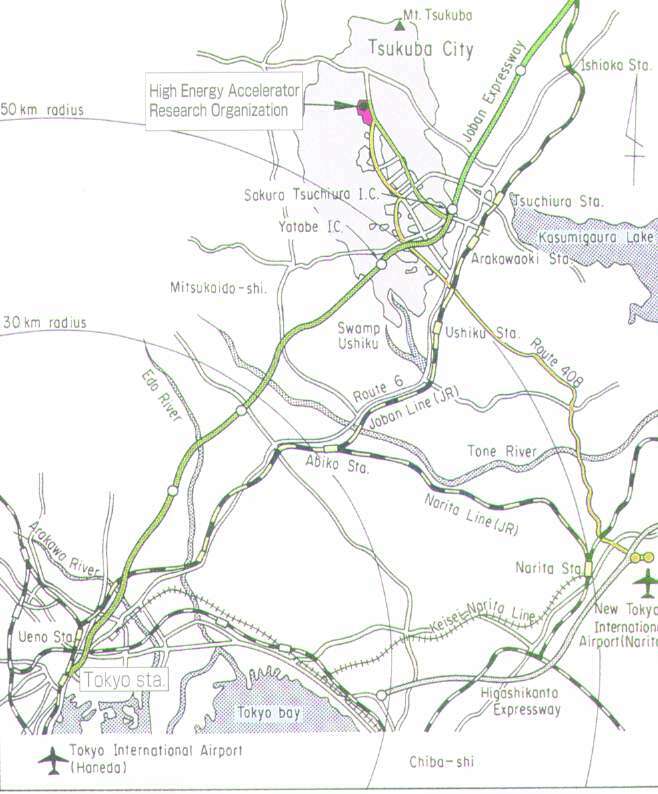 KEK is located about 60km northwest of Narita, and also 60km north of Tokyo. Tsukuba Center is 12km south of KEK. There are two ways to come to KEK or Tsukuba Center, where Hotels are located, from Narita airport. There are two terminals at the Narita international airport. There is a free circulating shuttle bus between terminal 1 and terminal 2 every 5 minutes. Please remember which terminal you arrived at. 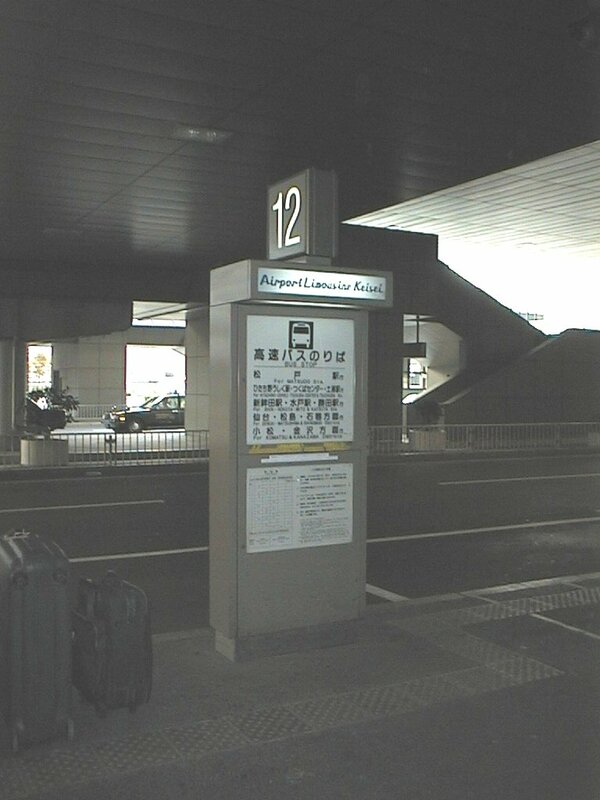 Terminal 1 in the Narita international airport: For information, please view Arrival Lobby map. 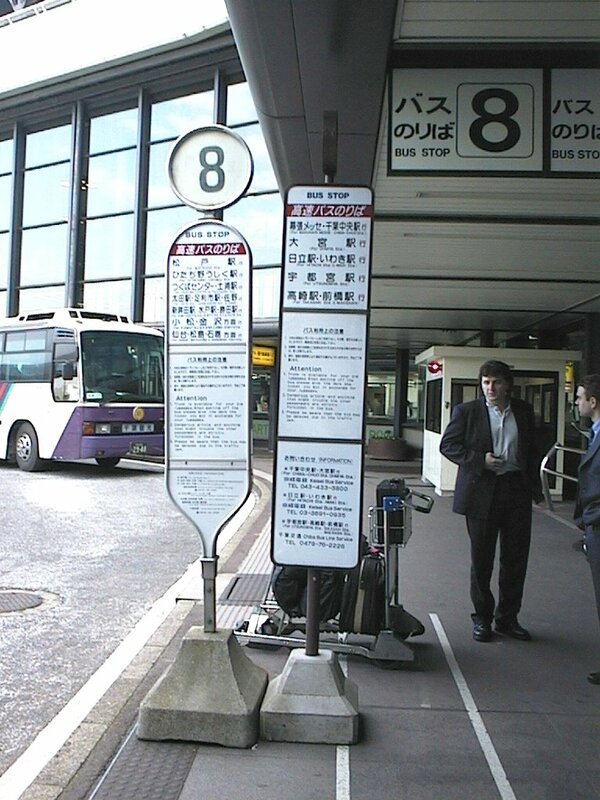 An airport bus(Airport Liner) runs from both terminal 1 and 2 to Tsukuba Center. See timetable x. 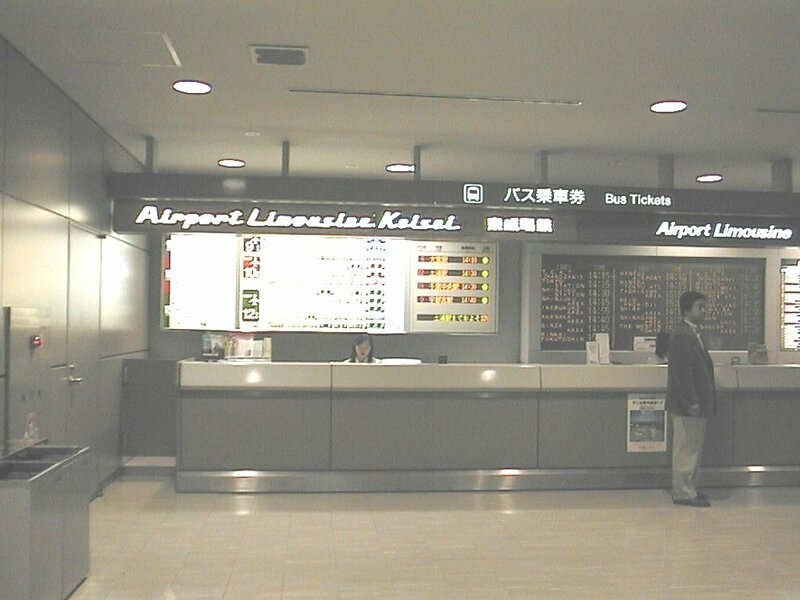 Tickets must be purchased (2,450Yen) in advance for the Airport Liner at the arrival lobby. 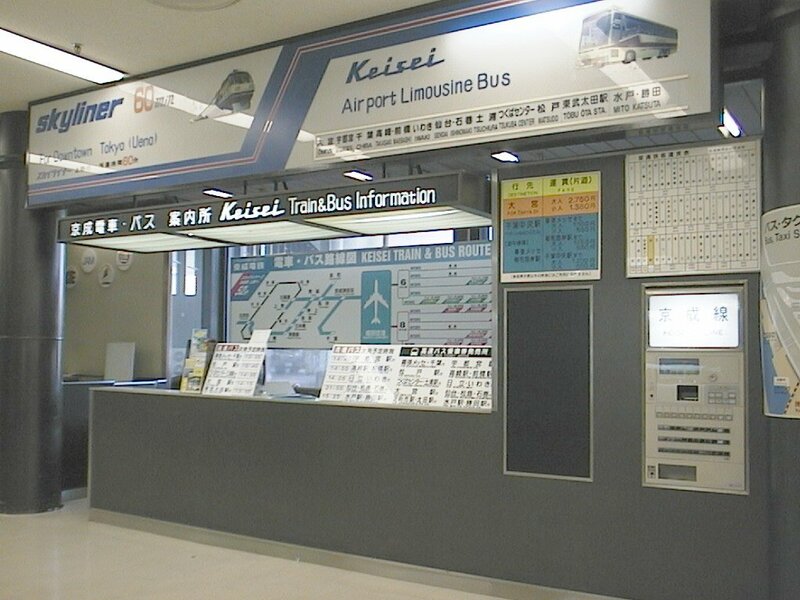 (Tickets counter at terminal 1 , Tickets counter at terminal 2) The Airport bus leaves bus stop 8 at the terminal 1 and bus stop 12 at the terminal 2. There are many different lines departing from the same bus stop. 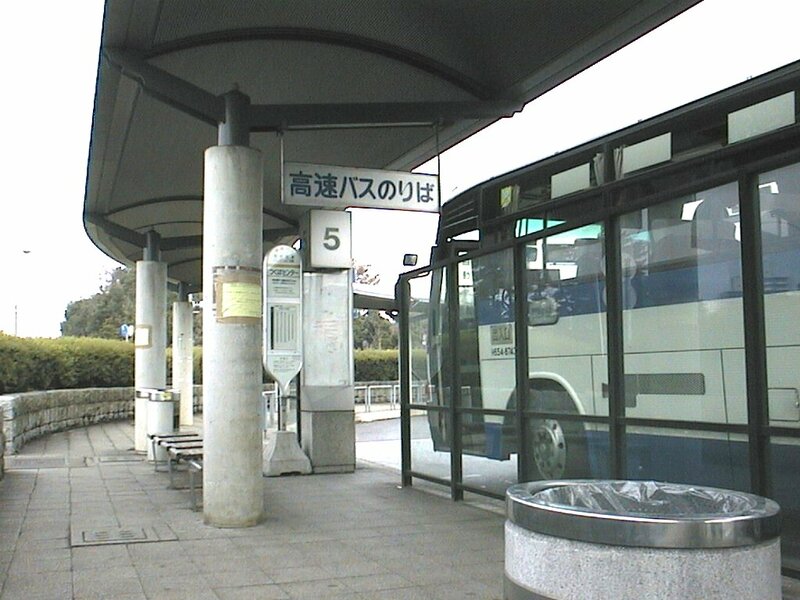 Please take the bus that goes to Tsukuba Center. We recommend taking an expressway bus (called " highway" bus in Japanese, but written as an expressway bus on signboards) from Tokyo station to Tsukuba. Buses leave Tokyo station from the Yaesu-Minami-Guchi gate. There are two lines at bus stop No. 2. The first is called the Tsukuba Line, which doesn't go to KEK, its last stop is Tsukuba Center. 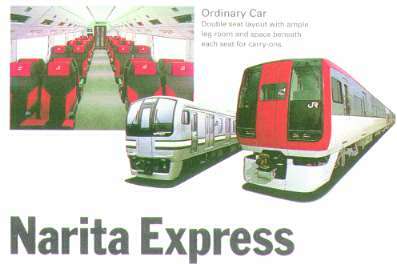 The second line is called the New Tsukuba-ne Line. Tickets for both lines must be bought before boarding the bus. 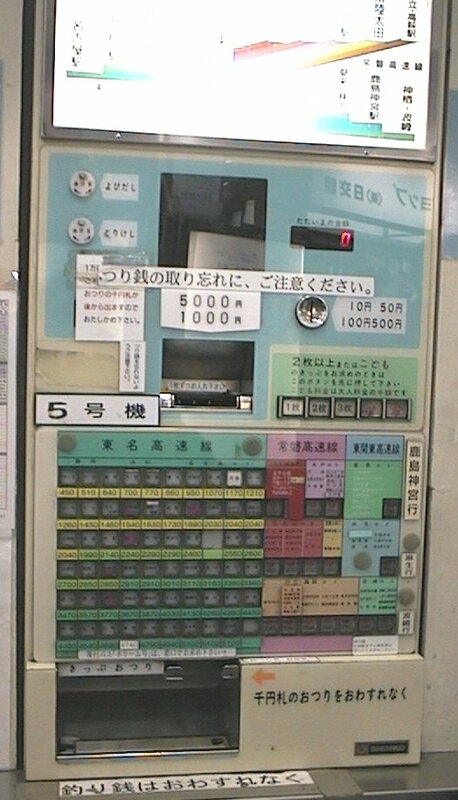 The Tsukuba line bus does not stop on the highway, and stops only five times after leaving the highway, the last stop being Tsukuba Center. Leaving Tokyo station every fifteen minutes, the journey takes one hour and fifteen minutes and costs 1,250 yen. 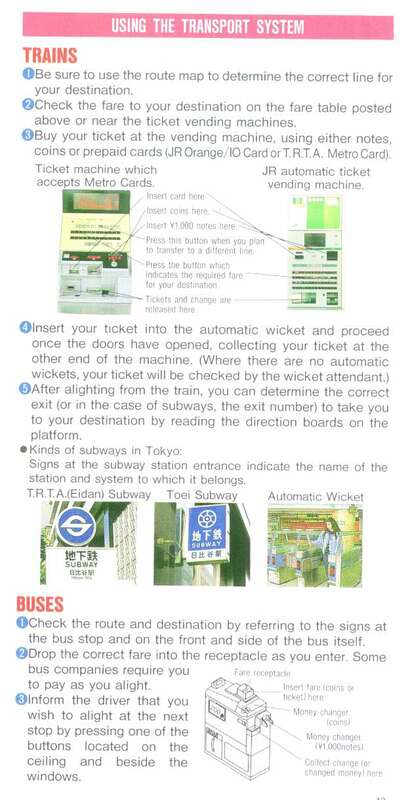 Please take same expresswa bus to Tokyo or Ueno from bus stop 5 at Tsukuba Center. We recommend taking an expressway bus (called " highway" bus in Japanese, but written as an expressway bus on signboards) from Tokyo station to Tsukuba. Buses leave Tokyo station from the Yaesu-Minami-Guchi gate. There are two lines at bus stop No. 2. The first is called the Tsukuba Line, which doesn't go to KEK, its last stop is Tsukuba Center. The second line is called the New Tsukuba-ne Line. Tickets for both lines must be bought before boarding the bus. The New Tsukuba-ne line bus comes to KEK without changing, its final destination is Mt Tsukuba as indicated on the signboard at bus stop 2. The New Tsukuba-ne line is less frequent than the Tsukuba line and makes many stops in Tsukuba except Tsukuba Center. Tickets are 1,450yen one way. See table 4 for the New Tsukuba-ne line timetable. There are two alternatives for this trip, Taxi (about 3,000yen) or local bus (460yen). Taxis are always available at Tsukuba Center. 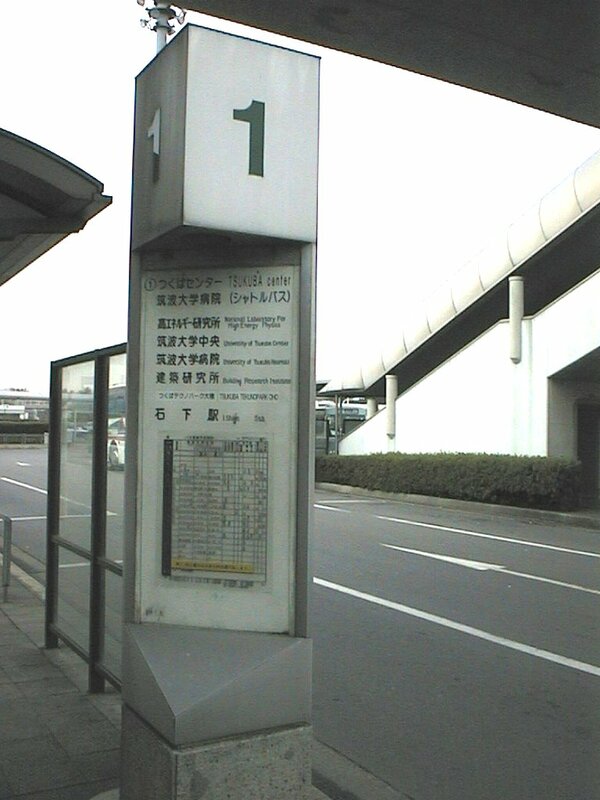 The local bus departs from bus stop number 1 at Tsukuba Center. 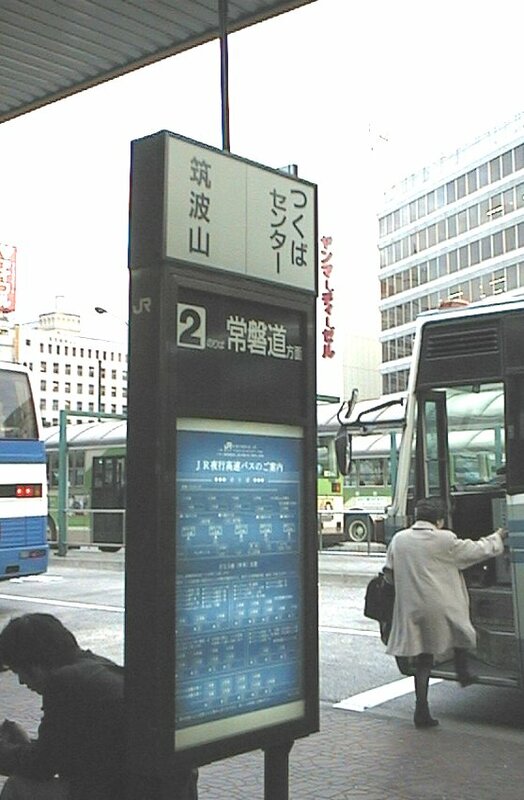 Of the eleven lines that depart from this bus stop, only two go to KEK(Kou-Enerugi-Ken,in Japanese). 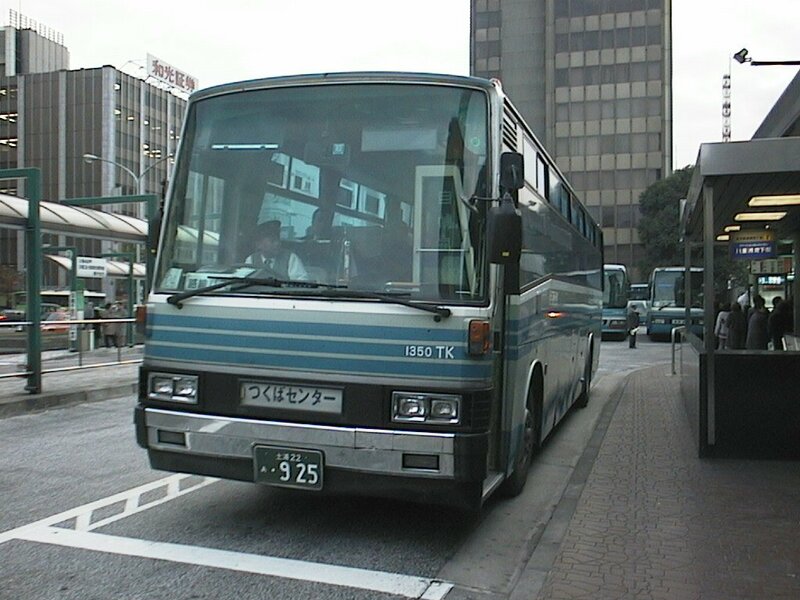 Buses travel to Techno-Park-Oho and Tsukuba Eki. As numbers are not assigned to these lines you must locate your bus by reading the Japanese characters (as above) on the front of the bus. The timetables for these two lines are shown in Table 1. 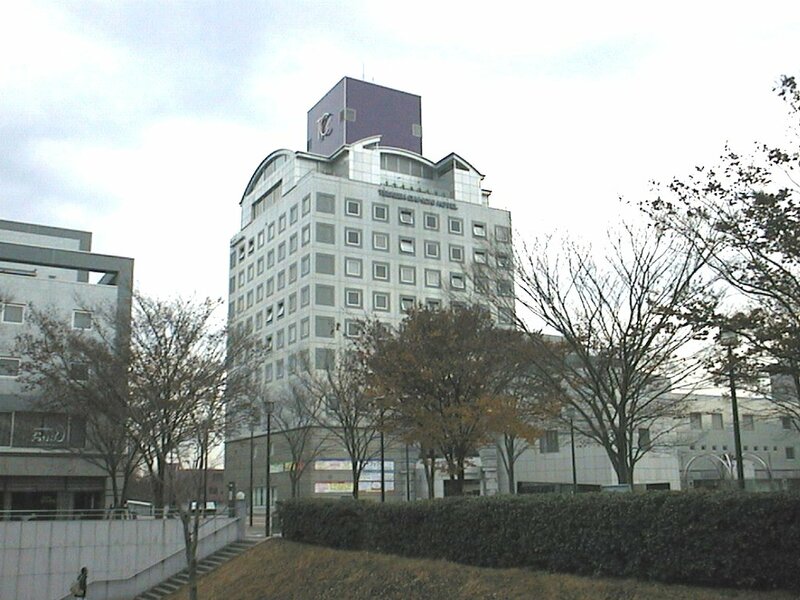 Tsukuba Dai-ichi hotel is located in the same block as Tsukuba Center and is walking distance. It is about less than 100m. Please use the escalator at the corner of Tsukuba Center bus terminal, which will take you to Tsukuba Dai-ichi hotel. The reception desk is on the ground floor. To get to Hotel Grand Shinonome, you need to walk about 10 to 15minutes from the Tsukuba Center Bus stop. There is no public transportation to the hotel.